It’s that time of year again! When some NLL players gear up for the playoffs while others dust off the golf clubs or join their MLL teams. 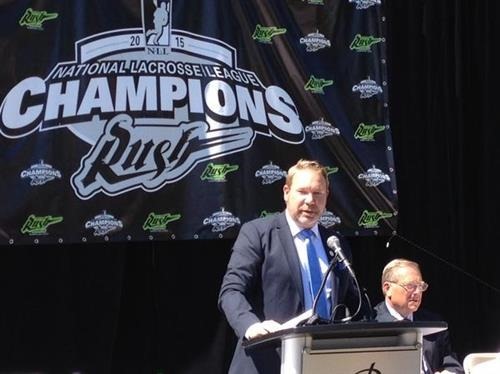 It’s also time for the annual NLL award voting. I don’t have a vote in the NLL awards but I’ve submitted my picks for the real awards, which are of course those published on IL Indoor. In that series of articles, probably published next week sometime, I will have comments about who I picked to win so I won’t repeat them here. I will also mention my pre-season picks for these awards so we can either stare in amazement at my insight or laugh at my “insight”. In my season preview articles (West and East), I picked a player for each team who I thought might have a breakout year, so I’ll also go over my “Look out for…” choices. Some panned out, while others were not as prescient as I might have hoped. This one is always a crapshoot. The Bartley award is frequently decided by the question “which team played better than we expected them to”, which by definition is impossible to predict. If a team is stacked and plays well, then the coach isn’t always considered which is unfair. This is why Derek Keenan only has three of these awards and not six or seven. This one is also tough because trades and signings that happen during the regular season could change the landscape completely, and they’re impossible to predict as well. I’ve left out the summary of offseason roster moves since that’s in my Who’s In, Who’s Out article. Here, we’ll cover where I think they will end up in the standings, who might have a breakout year, and as always, a haiku for each team. We’ll start with the East, then cover the West tomorrow. Obviously first-overall draft pick Josh Byrne will get a lot of floor time but if I had to pick someone else, I might go with Alex Buque. There is some debate over whether he’s ready to be an everyday starter but I think so. Their big problem last year was defense. Improving the goaltending is a start but the Bandits didn’t actually improve the defense – in fact it doesn’t look like they even tried. With the losses of Billy Dee Smith, Andrew Watt, David Brock, and Alex Kedoh Hill, who’s going to prevent Buque from seeing 65 shots a game? Priolo and de Snoo are great but they can only do so much. Johnny Powless. Only 50 points for Powless last season, but he only played in 10 games. That would give him 90 points over 18 games. Lefty Jordan Hall will be replaced by lefty Jesse King but Jerome Thompson will be playing more transition and defense this season, which will probably result in more touches for Powless. The offense is still top notch, but with all the top-name T/D players who are out, their defense could be shaky. They might win a number of 17-16 nailbiters. Reilly O’Connor. Of the lefties on last year’s Black Wolves squad, Culp, Saunders, and Veltman are gone, leaving O’Connor, Kevin Buchanan, and rookie JP Kealey. O’Connor looked strong in the preseason game against the Rock. Those who aren’t fans of Aaron Bold say that the reason for his success in Edmonton / Saskatchewan was the great defense in front of him. Well, now we’ll see if they’re right. That’s not to say that New England’s defense is lousy, but it’s not at the same level as Bold has been used to. It might seem weird but I’m going to say Dan Dawson. Dawson had his worst season in ages in 2017 but looked great at the Heritage Cup. I think he’ll rebound this year. We may not see 100+ points but he’ll look more like the old Dan Dawson than the 2017 model. 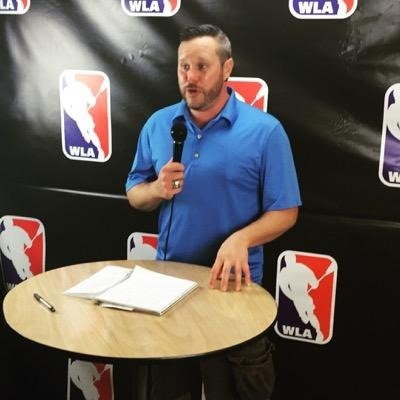 After one of the lowest-scoring seasons in NLL history (9.72 goals per game, the 11th lowest average ever), the Knighthawks used their second-overall draft pick to grab… a defenseman who specializes in face-offs. 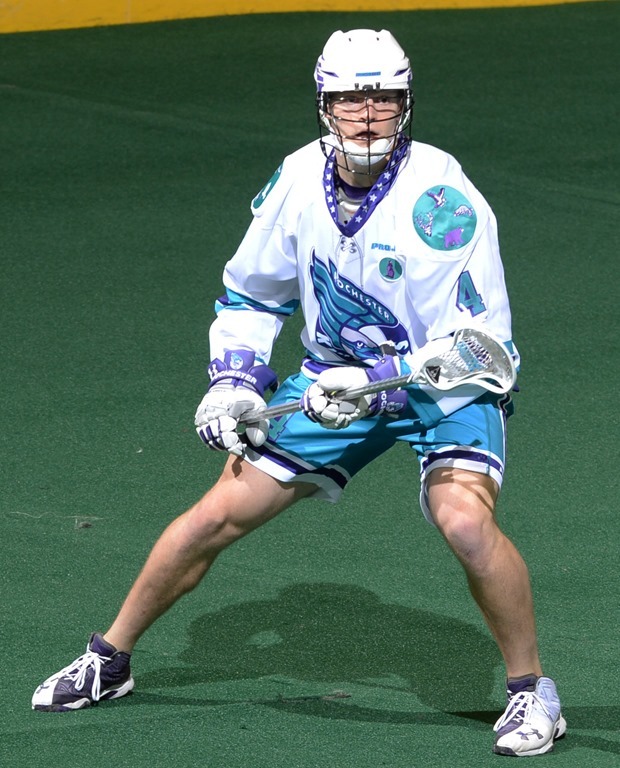 I mean no disrespect to Jake Withers but I don’t think that’s what the Knighthawks needed. They did also draft Austin Shanks and Eric Fannell, both forwards, and it’s possible that Cody Jamieson will return sometime this season, but there’s been no word on that. I’m really tempted to put Rob Hellyer here but that’s too obvious. I’m going to go with Drew Belgrave. I don’t know if he’ll be a Rookie of the Year candidate but I liked how he looked in the pre-season. Hellyer, Hickey, Jones, Schreiber, Leblanc. Out of curiosity, what’s the record for most 100-point players on the same team in one year? I’m glad you asked! It’s the 2005 Toronto Rock, who had three (Doyle, Manning, Sanderson). How coincidental. If this year’s Rock can stay healthy, this could be one of the most potent offenses ever. I’m looking forward to the first Rock/Swarm game, which could end up 38-37 in OT. This was a tough one since the Rock, Knighthawks, Swarm, and Stealth made a lot of moves but I’m not terribly confident in them. Most other teams didn’t make many at all. We’re just past the mid-season point, so I’m going to look over my pre-season predictions for the standings and major awards and see how things are progressing. I don’t think I got any of my major award picks right (except for a “maybe” in ROY), but a few of my “dark horse” picks were surprisingly accurate. In the East I had Rochester, Toronto, Buffalo, Georgia, and New England in that order. Clearly New England is doing better than I thought and Toronto is not, but if you swap them and also swap Rochester and Buffalo, I nailed it. In the West, I had Saskatchewan, Vancouver, Colorado, and Calgary. Obviously I greatly overestimated Vancouver’s success this season. Move them to the bottom and I’m right again. Prediction: Mark Matthews, who’s always a good choice for this award and is having a good season with 66 points in 11 games. But Dhane Smith is on pace to outscore Matthews by almost fifty points and beat the single-season scoring record by 25. Smith is the clear winner here. Prediction: Aaron Bold. Again, always a good choice and is having a good season but right now, I’d have to give this to my dark horse choice, Nick Rose, closely followed by Mike Poulin. Prediction: Sid Smith but I’m going to have to go with Chris Corbeil on this one. I watched the Rush defense against the Rock at the ACC recently and they not only prevented looks and shots very well, but they were also really good at knocking the ball out of a forward’s stick and then scooping up the resulting loosie. I thought Corbeil was particularly good at this. He can also score in transition (6 goals so far) and on one transition chance going the other way in the Rush/Rock game, he caught up to Jesse Gamble, which I didn’t think was even possible. Prediction: Karsen Leung. Leung’s numbers aren’t where they were last year and he didn’t score until his 8th game, so I’m going to go with another dark horse prediction, Alex Kedoh HIll. 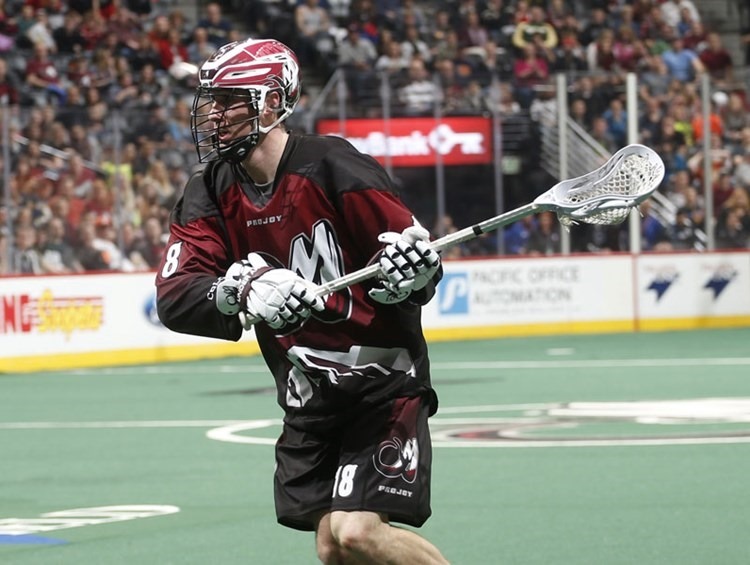 Hill has 25 points and 73 LBs and is a major part of the Bandits’ super-fast transition game. Prediction: Wes Berg. No idea if I got this right or not. In terms of points, Berg, Randy Staats, and Jesse King are all within 3 points of each other. But Swarm transition player Chad Tutton is also having a great rookie season, with an impressive 11 goals and is playing solid defense. Graeme Hossack in Rochester is also playing some great D. This might be a cop-out, but I’m going to say there’s no clear winner at this point so we’ll have to see what the second half of the season holds. Prediction: Dan Perreault. Um, yeah. Not only is Perreault not the coach of the year, he’s not even employed in the NLL right now. I did have Glenn Clark as my dark horse pick, and the way the Black Wolves are playing, he might be my mid-season choice. Prediction: Doug Locker. Um, yeah. 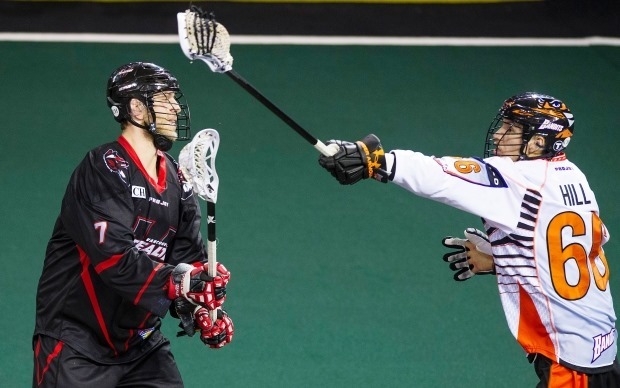 I still think Locker did a pretty good job in the off-season, picking up Billings, Moleski, Hawksbee, and Travis Cornwall, and the Schuss-for-Powless deal last year was great for both teams. I don’t think it’s his fault that the team isn’t playing well but that said, I can’t give the GM of the Year award to a guy who created a sub-.500 team. John Arlotta also made some significant changes to the Swarm and in three or four years this might be a really good team but similarly, since they’re currently 4-8, we can’t say that now. Plus we’ve thought “this team could be really good in a couple of years” about the Swarm for ten years now and they just never seem to get there. I may have to go back to the Black Wolves, as GM Chris Seinko did a great job to trade for Shawn Evans, reacquire Kevin Crowley, and also bring in guys like Dan Ball, Derek Suddons, and Sheldon Burns, all of whom are contributing on this surprising team.